Interactive Mirrors are one of our most visually engaging display options. 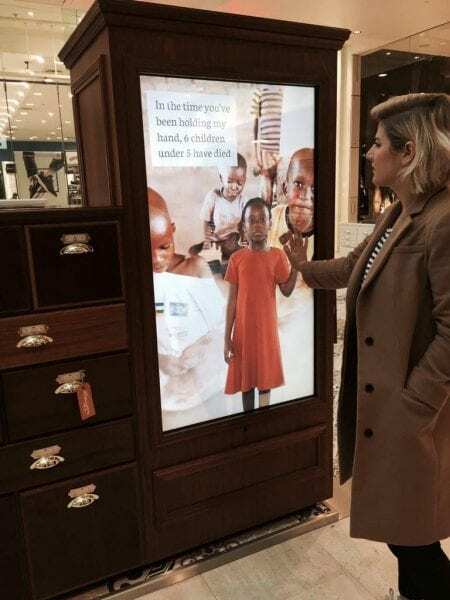 This has been demonstrated recently by having our 55″ Interactive Mirror (6 point multi touch) being used by the world’s largest international children’s charity, World Vision as part of a pioneering campaign called The Story Shop. What is The Story Shop? You can find out more about World Vision and their cause by connecting with them on Facebook or by visiting their website. World Vision used the interactive mirror as an attraction to draw people in and maximise the impact of their message. Our Interactive Mirrors come complete with an HD or 4K commercial grade screen, Mirrorvision optical glass, plus intouch 6-point multi-touch. A frameless solution that is ready to integrate into both modern and traditional interiors. 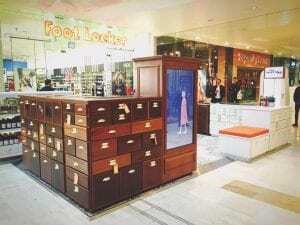 They’re perfect for retail changing rooms or exhibition display stands. We offer a wide range of Mirrorvision technology great for a variety of market sectors. The range includes Mirror TVs, Mirror TV Overlays, Mirror Advertising Screen & Mirror Glass. Available in standard screen sizes from 32″ to 84″ with custom sizes/ oversized mirror options available. You can learn more about our Interactive Mirrors by visiting our product page. If you have any ideas about how you would like to integrate our technology into your retail displays, please get in touch via our contact form below, or call us on +44 (0)1226 740 007.